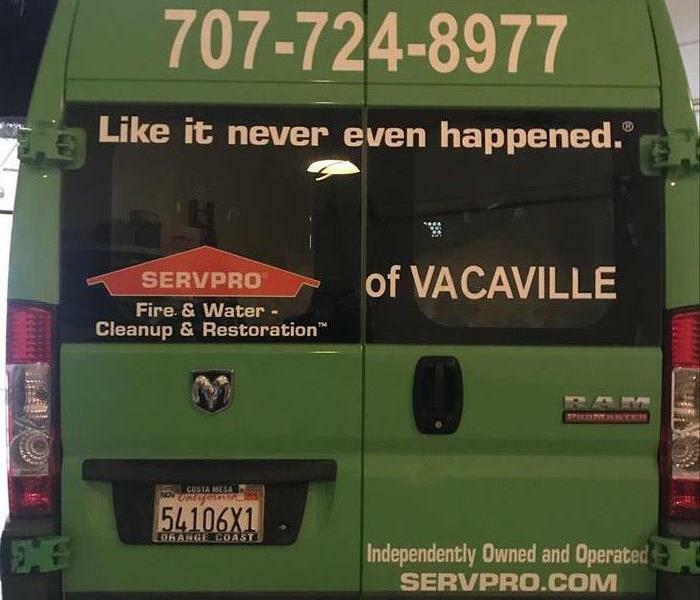 When you see this vehicle around the City of Vacaville, you know that SERVPRO of Vacaville is on the job helping another customer with their water, fire or mold issue. Call us 24 hours a day, 7 days a week at 707-724-8977. 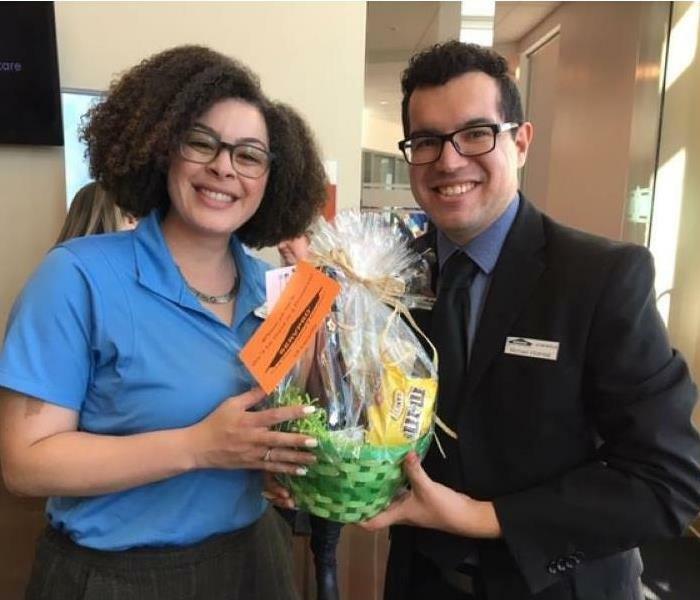 SERVPRO of Vacaville's Office Manager Michael Villarreal was happy to donate a raffle prize to the recent joint Vacaville/Fairfield-Suisun Chamber of Commerce Mixer to Heather Jamison, New York Life Agent and Chamber Ambassador. SERVPRO of Vacaville is a proud sponsor of Vacaville High School’s baseball program. With the weather starting to turn warm, we are looking forward to catching a game or two! SERVPRO of Vacaville was happy to donate an auction item for the Vacaville Police Activities League (PAL) fundraising event. We hope the winners enjoyed a fun night on the town. 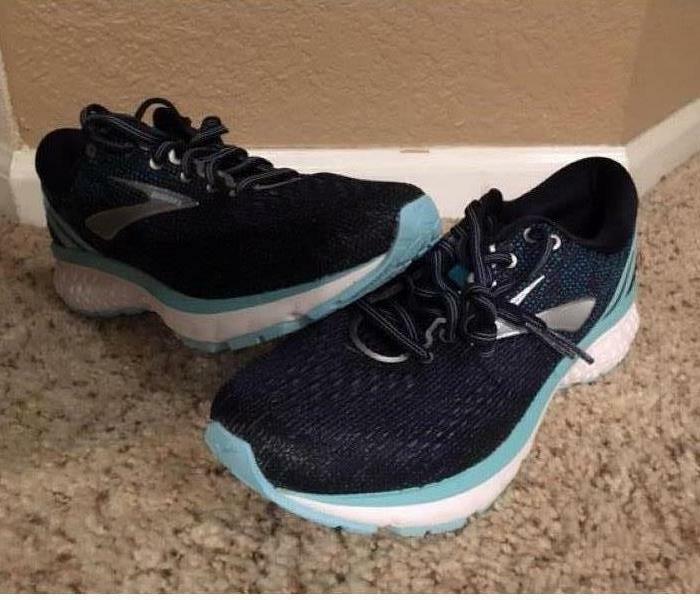 Get those running shoes out of the back of your closet and dust them off! SERVPRO of Vacaville is putting together a team to participate in the Vacaville Public Education Foundation's (VPEF) annual fundraiser, Loop the Lagoon. We are looking forward to supporting our local schools, getting some exercise and having some fun doing it. 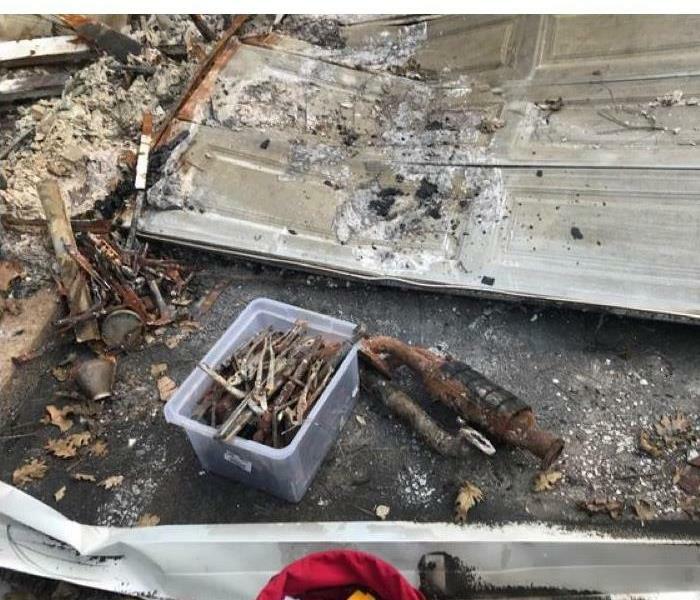 A Paradise fire victim asked SERVPRO of Vacaville to help them sift through the ashes to try to recover some tools from their home. Unfortunately, the fire was so intense the ones we located were hardly recognizable. Time for our staff meeting. We enjoyed brainstorming on how to better serve our customers and talking about ideas for the future of SERVPRO of Vacaville. The pastries were nice too! SERVPRO of Vacaville employee Nancy Cunningham and her daughter Kelly recently participated in a run where they blew bubbles everywhere. Her only thought while she was running was "Who's going to clean up this mess?" They should have called SERVPRO of Vacaville! SERVPRO is ready to respond to your emergency 24 hours a day 7 days a week. Whether it is fire or water related, we have technicians on-call to help you whenever the need arises. We can help you with water removal and dehumidification, mold mitigation and remediation, and even odor identification and deodorization. From carpets to catastrophes, SERVPRO is here to help.